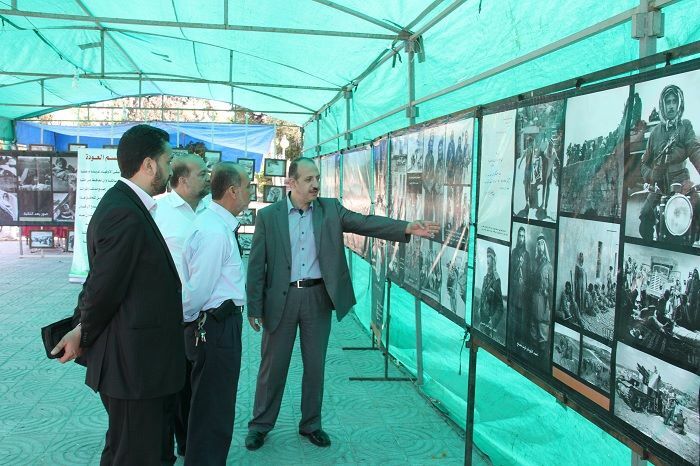 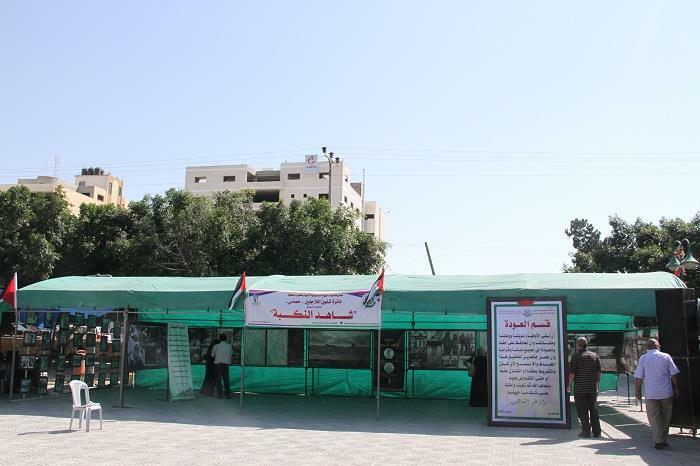 Gaza,(DRAH.ps)—Division of Refugee Affairs in Hamas DRAH initiated on Tuesday afternoon a photo exhibition entitled "View the Nakba" in Ajundi Almajhoul Square in Gaza, where hundreds of photos of the Nakba in 1948 are exhibited. 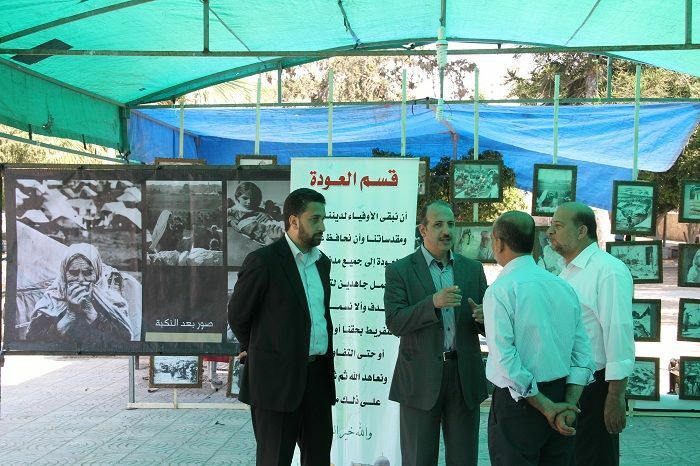 DRAH chairman Dr. Essam Adwan as well as a number of members of the coordinating commission to commemorate the 67th anniversary of the Nakba initiated the exhibition as an event among a series of activities being carried out to revive the 67th anniversary of the Nakba . 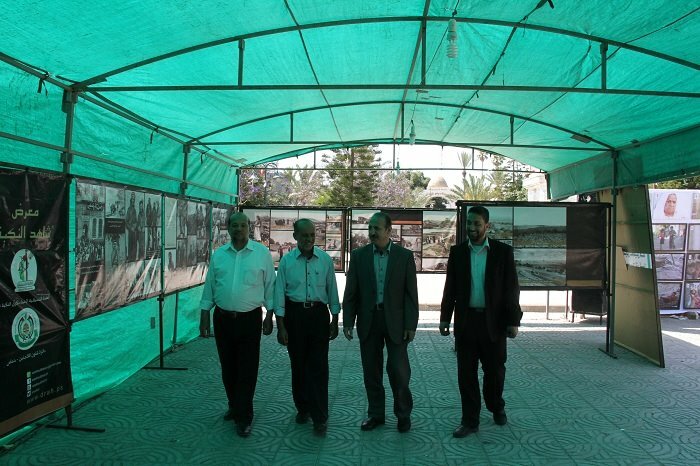 Adwan said the exhibition illustrates the story of the Palestinian people since before the Nakba where there are a lot of images of the Palestinian villages and towns being destroyed. 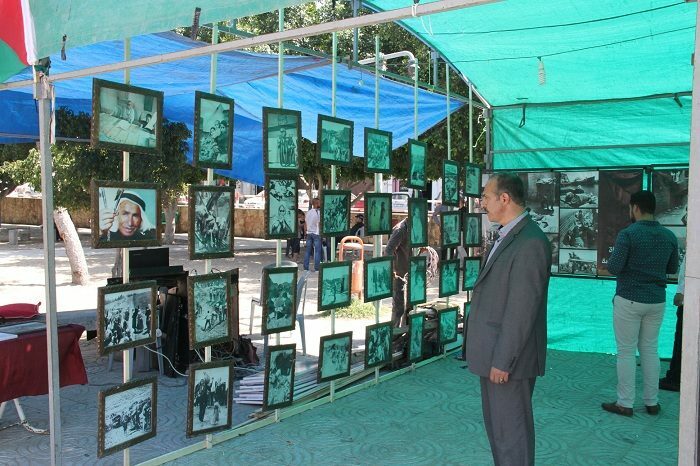 He added that images show the displacement of indigenous population, displacement and migration of the Palestinian people, events of the 1948 war, post war events , gathering of the displaced in refugee camps, and the misery status of killings and expelling by Israeli gangs against the innocent Palestinian citizens. 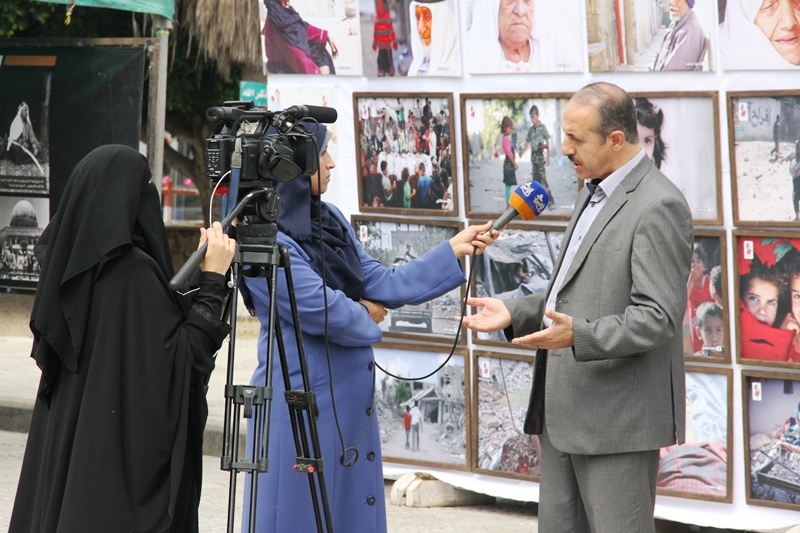 Adwan explained also that massacres against Palestinian villagers at hands of Israeli gangs including Deir Yasin and Tantura are also included in the exhibition. 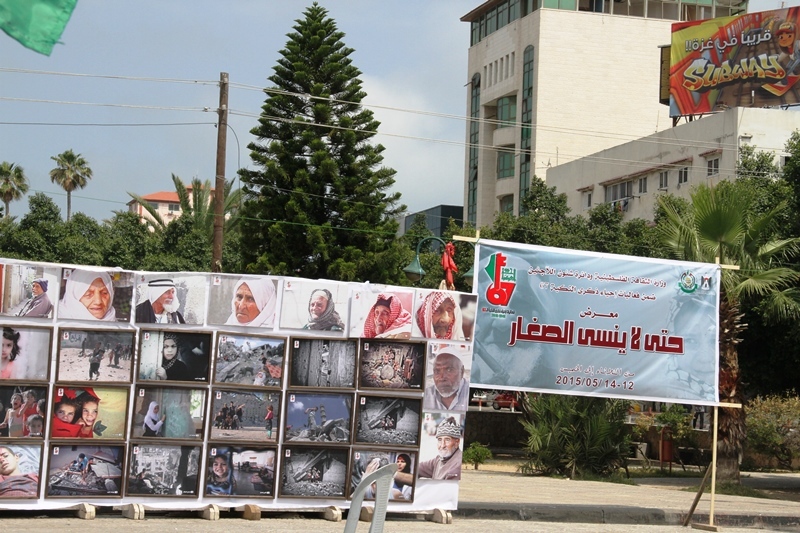 This exhibition will be open to visitors for three days, LCD films and documentaries over the suffering and the conspiracies against the Palestinian people will also be displayed.